Throughout the past few years, we have had the pleasure of crafting a large number of beautiful oval engagement rings in Winnipeg, Manitoba. By working directly with clients we are able to uncover their personal style and craft a beautiful custom engagement ring that is crated just for them. Today we would like to show you a couple of spectacular oval engagement rings that we have crafted over the past while which have been receiving lots of positive attention online. The above masterpiece was created for a wonderful couple who had their engagement just last week! This design features a large, expertly cut oval diamond set in a brilliant side stone band. What makes this oval diamond engagement ring unique, is that the diamonds lining the band go all the way up the sides of the claws creating a beautiful pop of sparkles when viewed from all angles. Even despite being posted just recently, this engagement ring has already become a favourite on our instagram page. 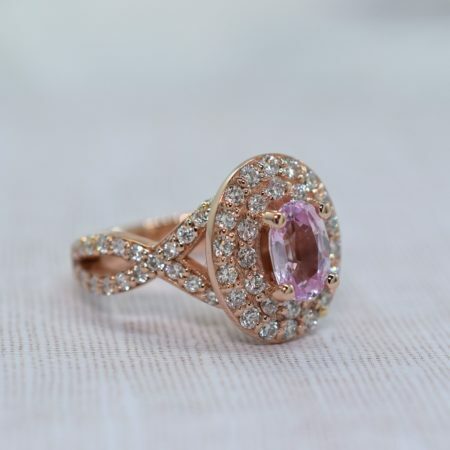 This special oval engagement ring features the winning combination of two of our favourite features when it comes to custom ring design: rose gold and a beautiful pink sapphire! This ring was created for a couple who is close to our hearts and family and has been another great hit on our social media accounts. This design features a double halo of diamonds as well as a criss cross infinity side stone band. With sapphire engagement rings being so popular as of late, we are sure we will receive many more requests to create beautiful designs featuring this wonderful and durable gem. Love Pink Sapphire Engagement Rings? Check out THIS article on another one we created! 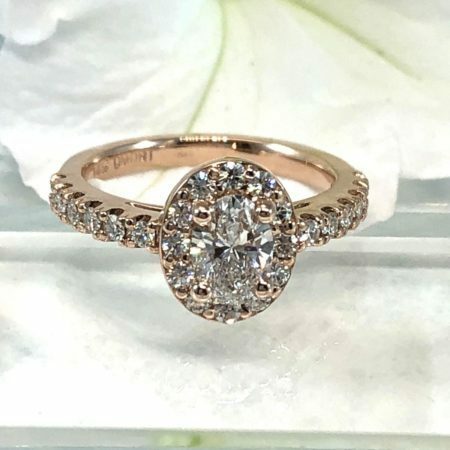 This beautiful rose gold engagement ring features a beautiful oval cut diamond as the centre stone. In terms of popularity, halo engagement rings have been enormously popular over the past number of years and show no signs of slowing down! 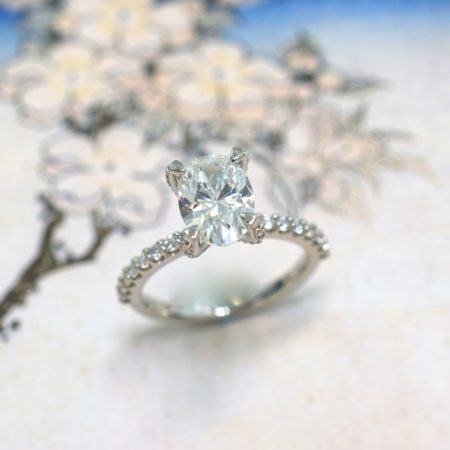 Thanks very much for checking out our blog on oval engagement rings in Winnipeg. Feel free to browse our custom design engagement rings page to see examples of our work and learn more about our custom jewellery design process. In the mean time don’t forget to keep in touch by following us on facebook, twitter or instagram! Want to see more oval engagement rings in Winnipeg? Check out our latest video HERE. Do you love the combination of oval cut diamonds and yellow gold? 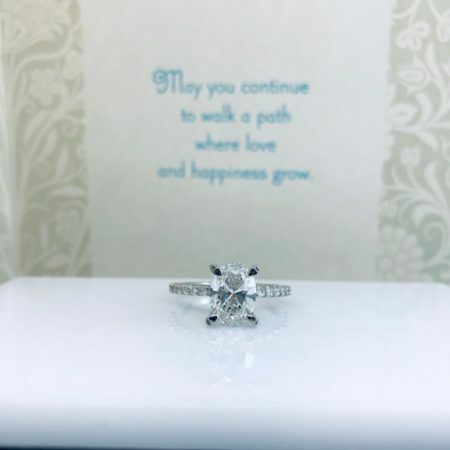 Check out our article: Winnipeg engagement ring journal 25: Oval Diamond Engagement Ring.